Are you looking for a software to manage your emails that is both free and complete? We invite you to discover Mailspring. This small program will quickly become an essential ally in everyday life. The program allows you to group several email accounts in the same interface. 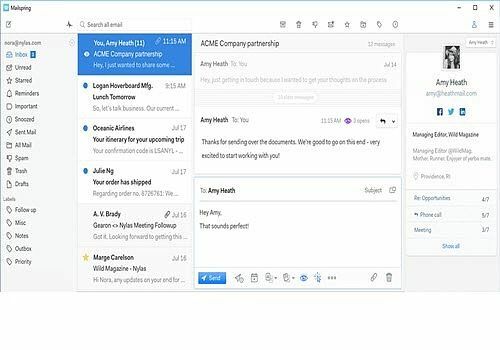 You will be able to do advanced searches to find exactly the message you are looking for or add signatures to your emails in a few clicks. Among the original features is a translator integrated directly into the software when you write a message. Several languages are supported including French, German, English, Spanish or Russian. Mailspring is also able to detect the language in which you write to let you know if you make mistakes. Mailspring is a free software but a paid formula also exists and it adds additional features.